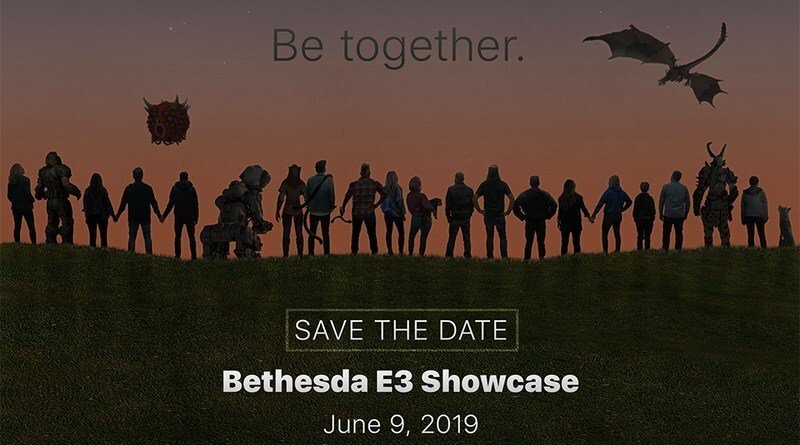 Bethesda has announced plans to host their annual E3 Showcase once again for 2019. Taking place Sunday, June 9 at 5:30PM PT, the publisher will present their 5th Annual Bethesda E3 Showcase. The company is not confirming what games will be present at the event, aside from Doom Eternal. "We want to “Be Together” with all of you this year and with that in mind we are planning to invite more of you, our biggest fans, to join us on our biggest night of the year. Official invitations – with additional event details, including how to register for a chance to attend this year’s showcase – are coming soon," say the organizers. For those who can't attend in person in Los Angeles, the event will once again be streamed live online. Last year, the company announced Doom Eternal, Wolfenstein: Youngblood, Fallout 76, and teased future projects Starfield and The Elder Scrolls VI.